The Post-Workout features a unique complex carbohydrates matrix that helps replenish glycogen levels and helps kick start the body's natural processes for muscle repair and growth. Take the Post-Workout within 20 minutes of completing a workout to reduce muscle soreness by replenishing the body with and ideal dose of depleted nutrients to reduce fatigue and kick-start muscle repair. 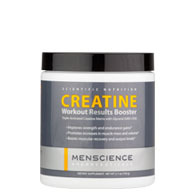 Add the Creatine Workout Results Booster to your routine to provide muscles with explosive power for better workouts, especially during aerobic fitness programs. Why do I need a men's post-workout supplement? Isn't a regular protein shake enough? How is this different from other post-workout supplements for men? Can this be taken on non-workout days? After a workout, your glycogen levels are depleted and need to be replenished; glycogen is the stored form of carbohydrate energy that is used up during cardiovascular and resistance exercise. Post-Workout Accelerated Recovery Formula provides the ideal ratio of carbs, protein and other nutrients to help restore glycogen levels, support muscle recovery and growth, and help reduce muscle soreness so that you'll be ready for your next workout in no time. While protein is crucial for muscle rebuilding and growth, you also need carbohydrates, a nutrient that many protein shakes lack. Carbohydrates restore glycogen levels and help speed up the post-workout recovery process. This post-workout supplement for men has been scientifically engineered to refuel your muscles with the right amounts of carbs and proteins when they're most receptive: within 20 minutes of finishing a workout. This men's nutritional product also contains creatine, arginine, taurine and other nutrients to supplement muscle recovery. MenScience uses only the highest-quality, proven ingredients to produce visible results. Post-Workout Accelerated Recovery Formula contains fast-absorbing whey protein as well as an assortment of amino acids to spark muscle recovery processes almost immediately upon consumption. This quick absorption results in shorter recovery times, reduced muscle breakdown and recharged energy supply. With Post-Workout Accelerated Recovery Formula, you can rest assured knowing that you're using one of the most effective post-workout supplements for men. This post-workout supplement is not intended for use on non-workout days. Consider using Whey Formula Advanced Protein Complex on non-training days to boost protein intake and further supplement muscle recovery. This product is worth the money for sure! I am on my second container of the Post - workout formula. I am on my second container of the Post - workout formula. I have lost the fatigue in my legs that I usually have and my energy level comes back quickly. I plan to keep using this product. This product is very good. The taste is awesome. The best part of this product is that is helping me improve the soreness after a very hard workout. I will continue using this product. I'm a competitive athlete and I'm constantly putting stress on my body. Thanks to this great product I'm always fully recovered and ready to go the next day. Also, it tastes really good and mixes easily. 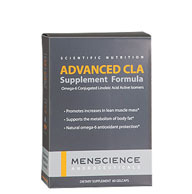 I'd recommend it for anyone doing any sort of physical activity, thanks menscience for another great product. I'm a soccer coach and my son's a swimmer so this product works very well on both sports. Hope you try it then feel the difference. This really helps me recover from workouts quickly. Add one scoop to 6-8 fl. oz. of cold water and mix until dissolved. Drink once daily within 20 minutes of finishing workout. For maximum results, use as part of MenScience Scientific Nutrition Program.